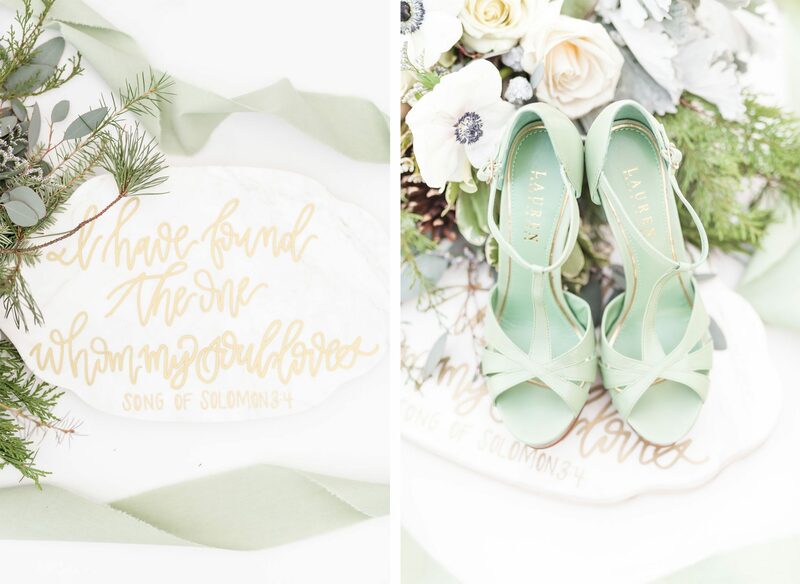 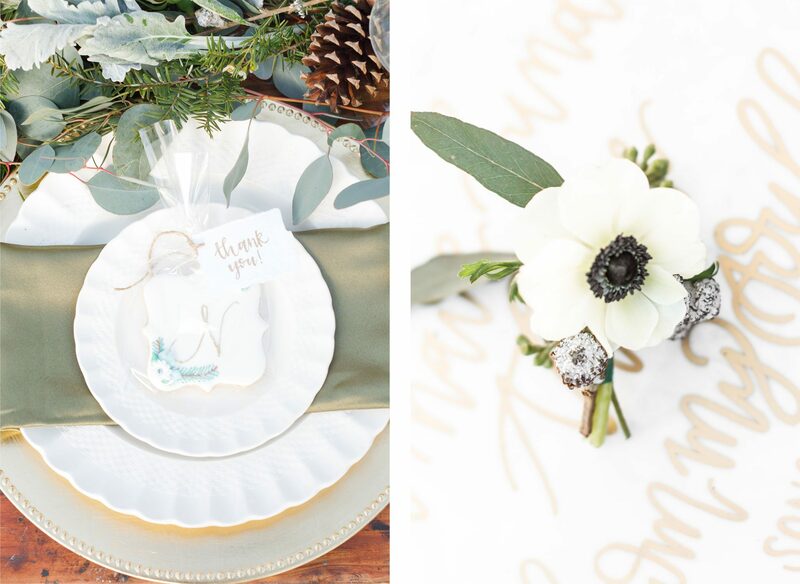 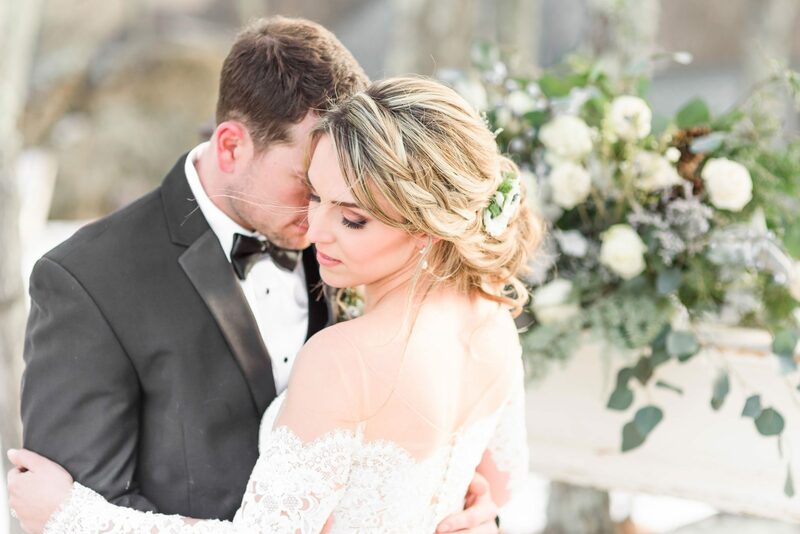 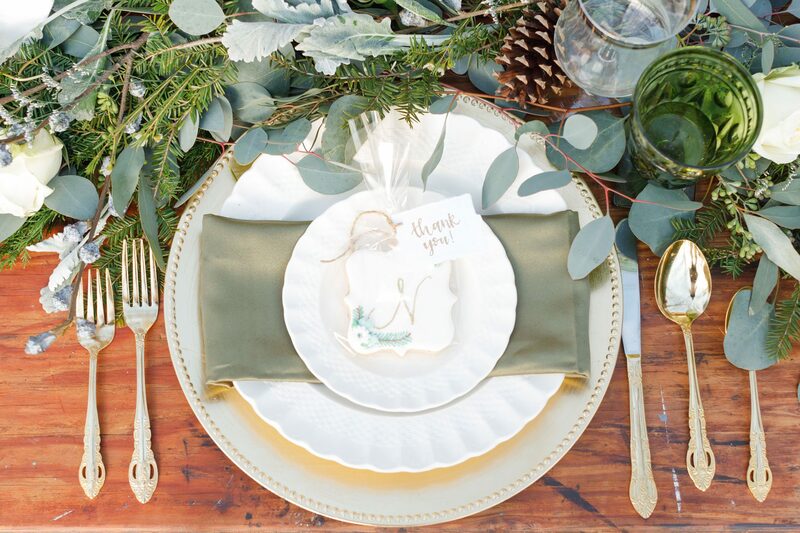 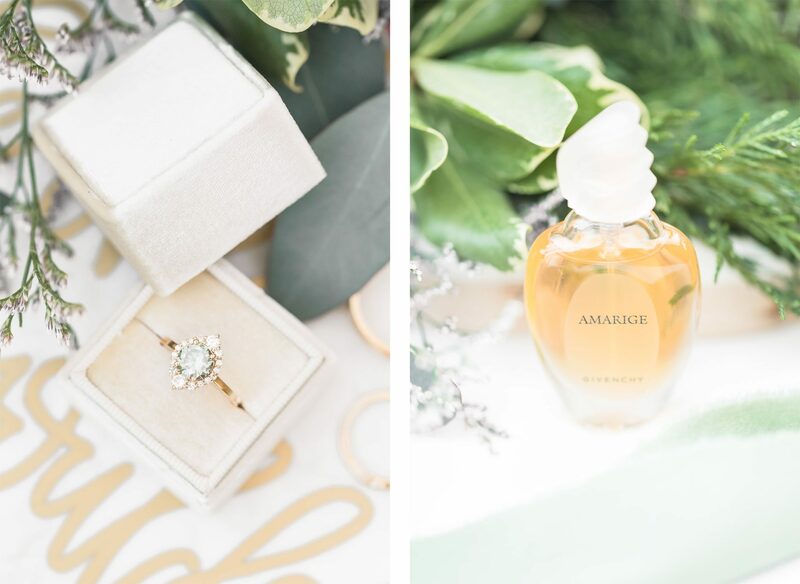 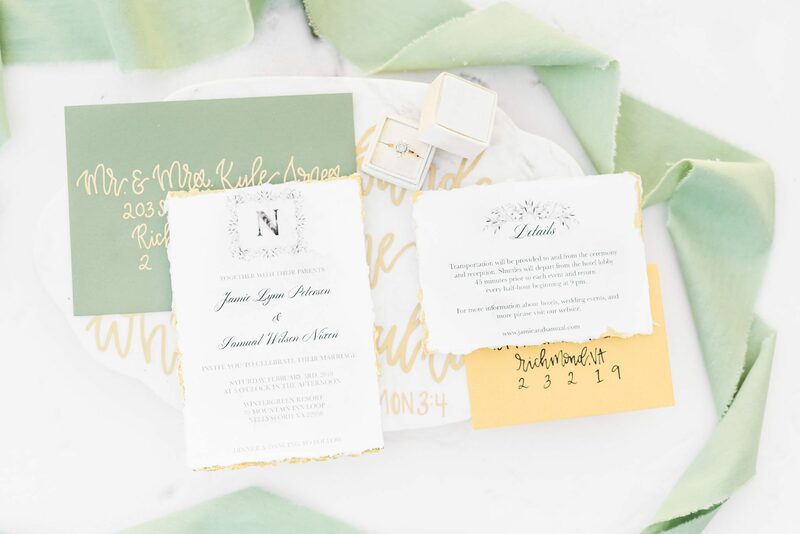 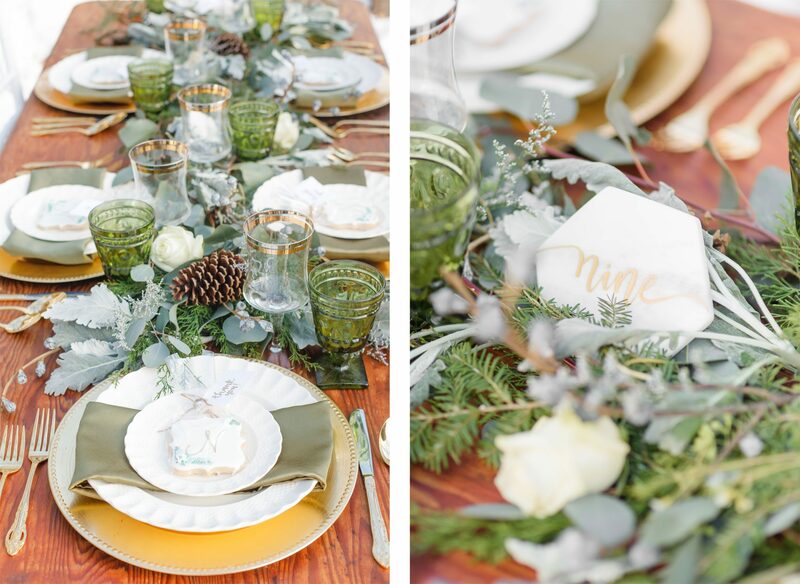 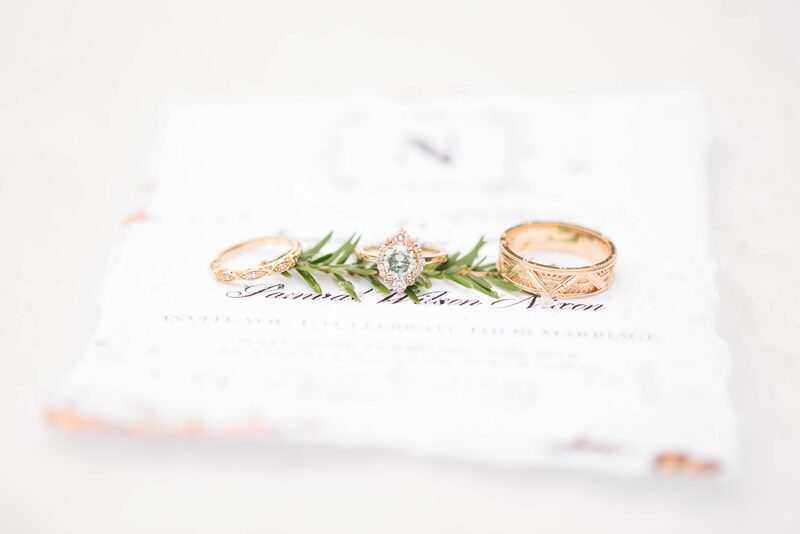 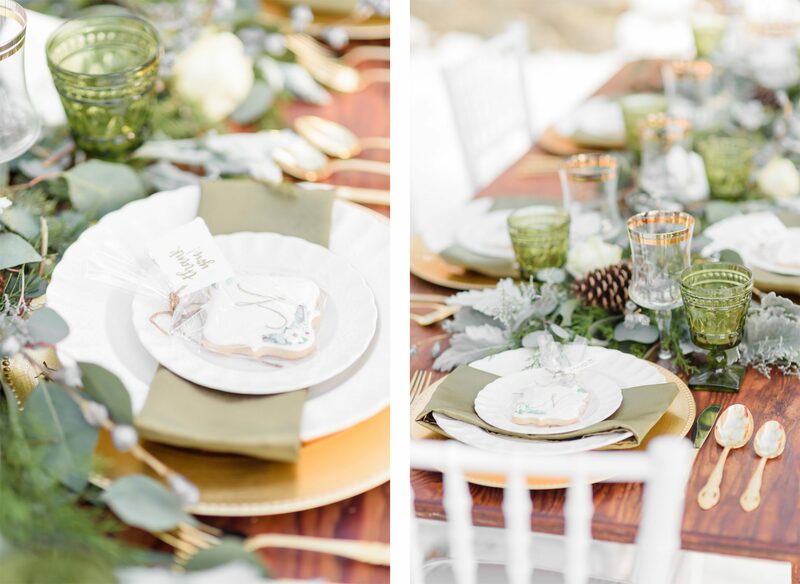 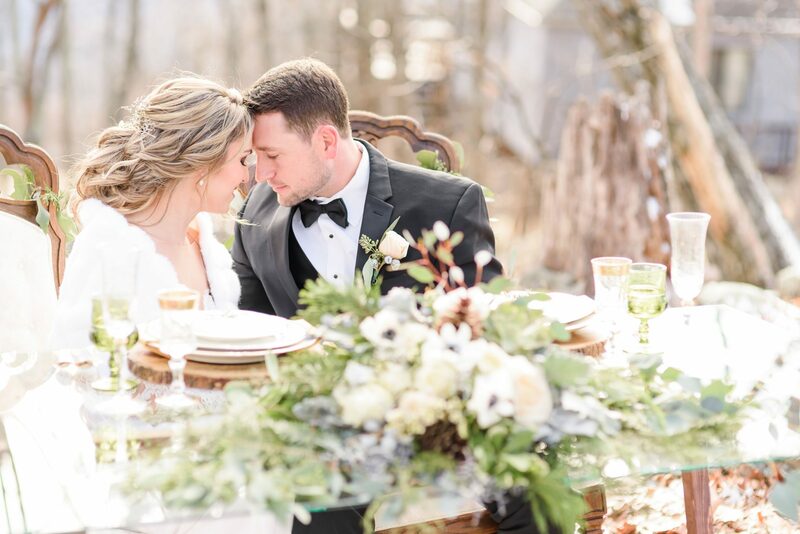 This nature-inspired shoot features simple elegance with a clean and crisp white and green color palette with hints of gold. 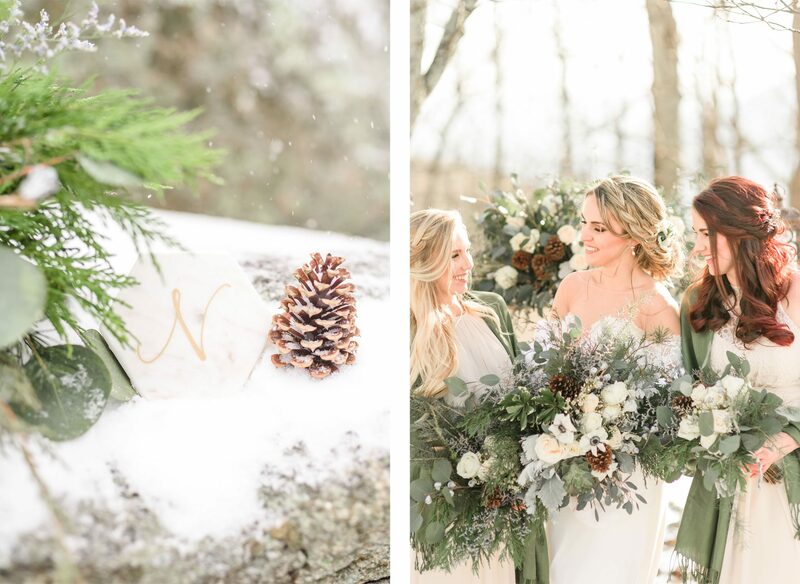 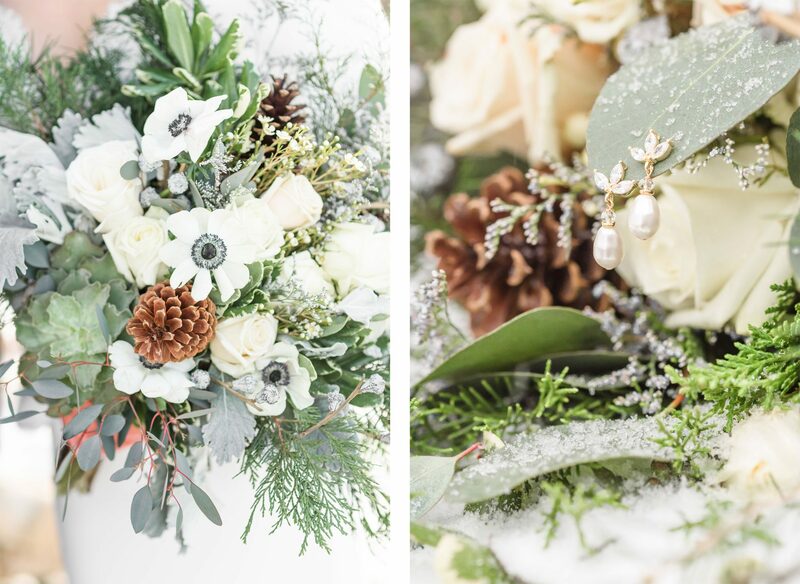 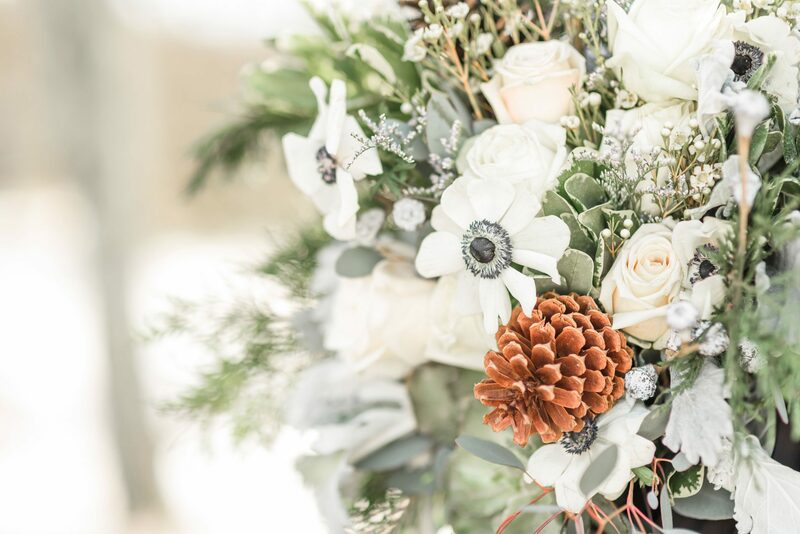 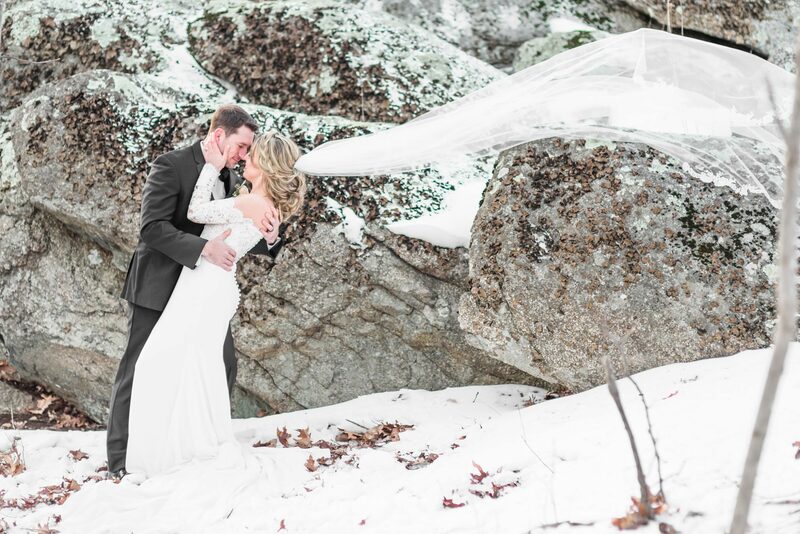 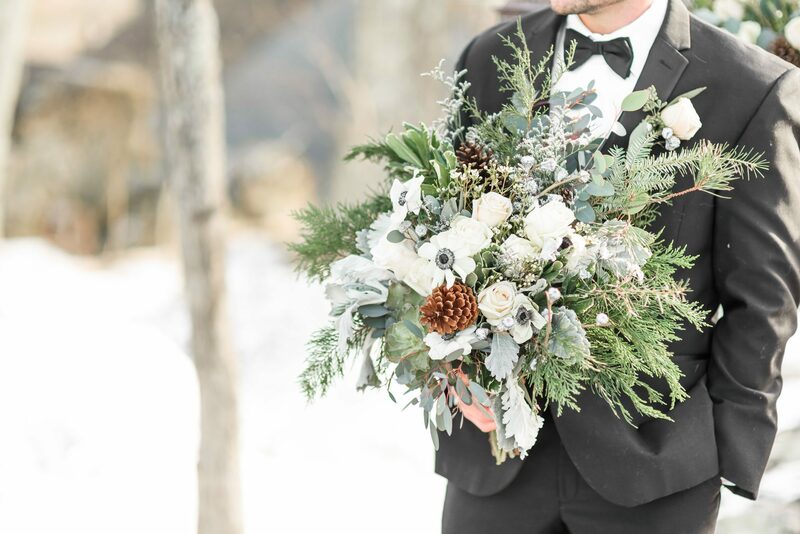 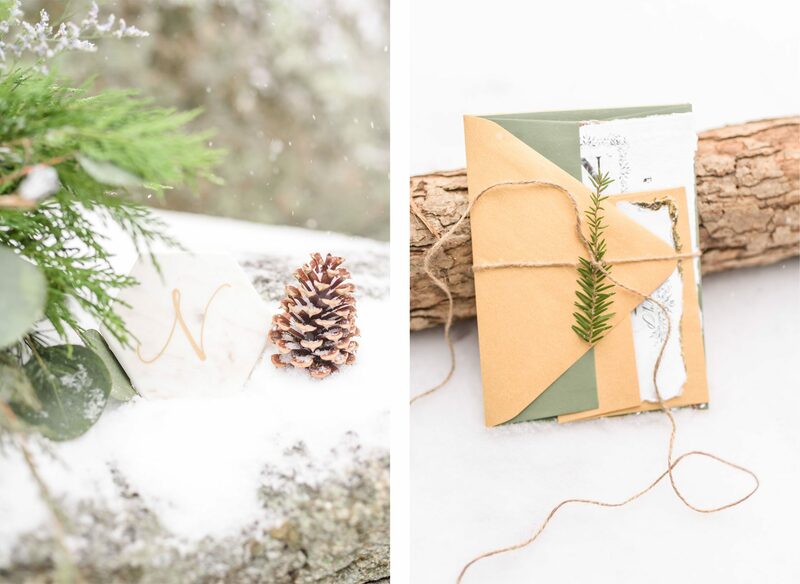 Organic elements with evergreens and pinecones blend perfectly with the snowy Blue Ridge Mountain backdrop. 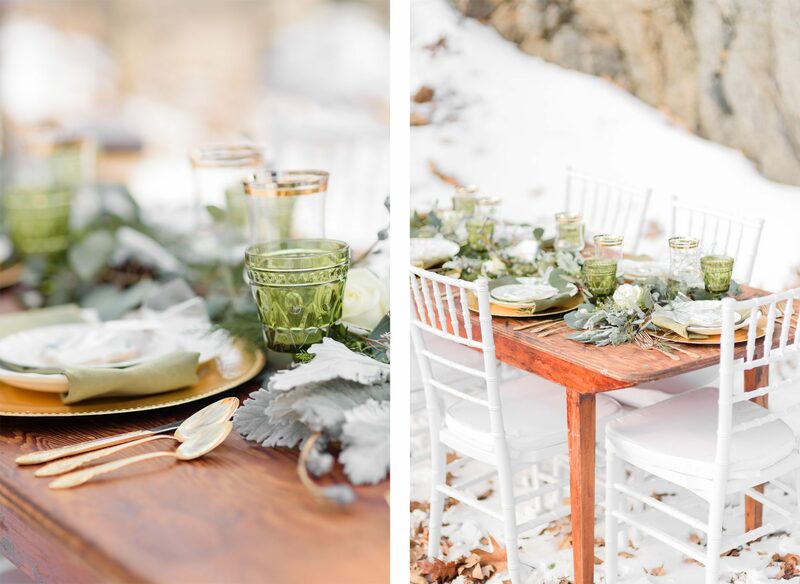 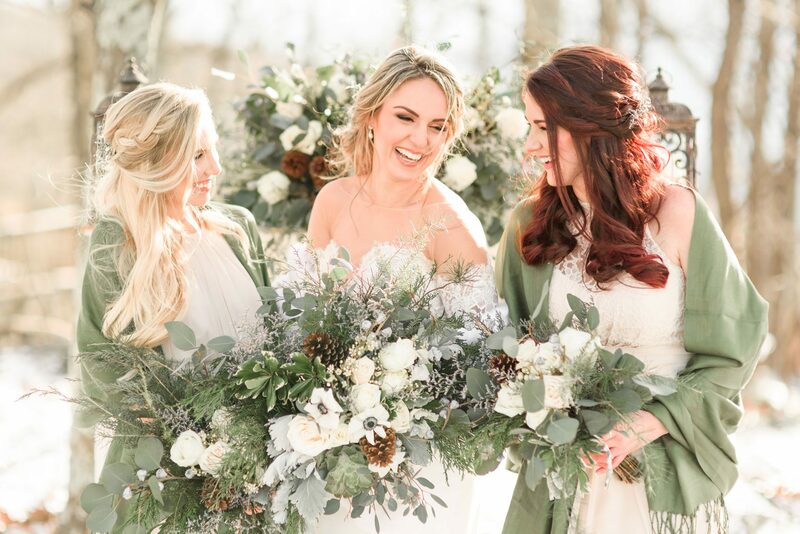 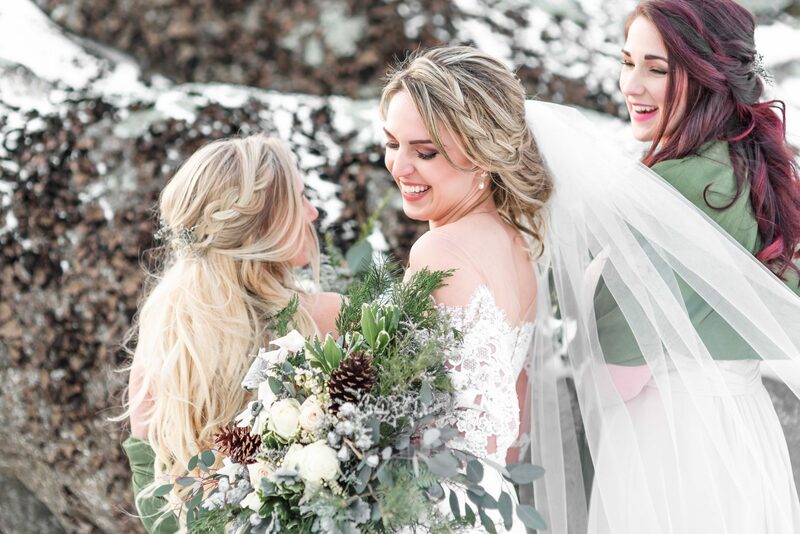 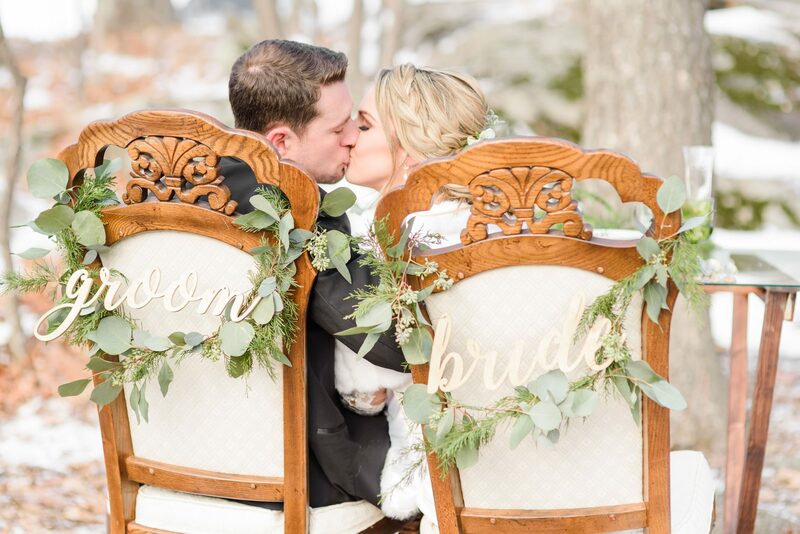 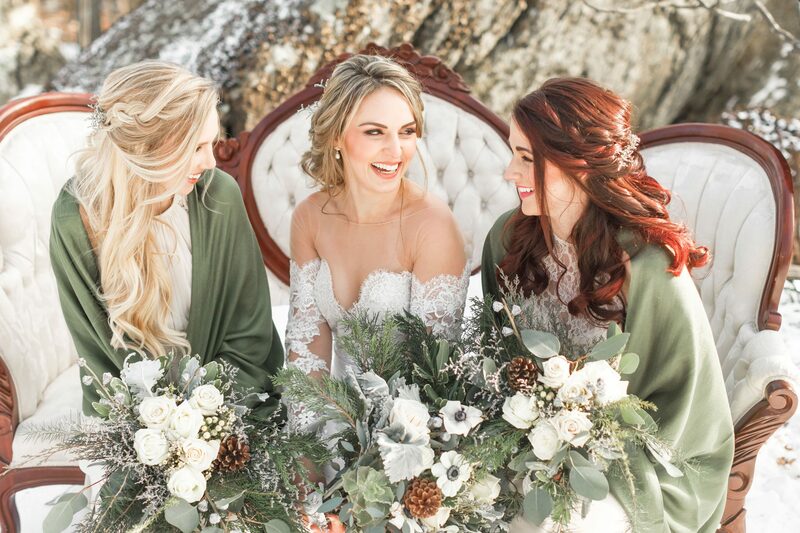 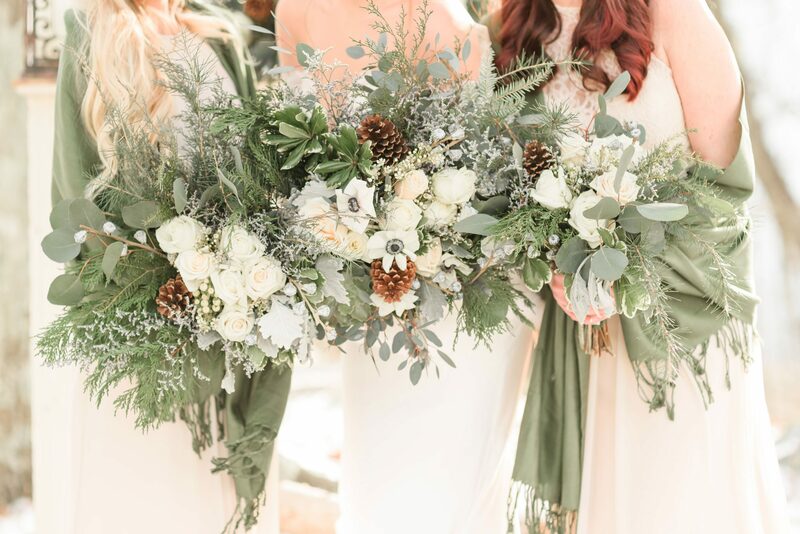 Lots of earthy wedding ideas mountain brides can incorporate into their wedding day.